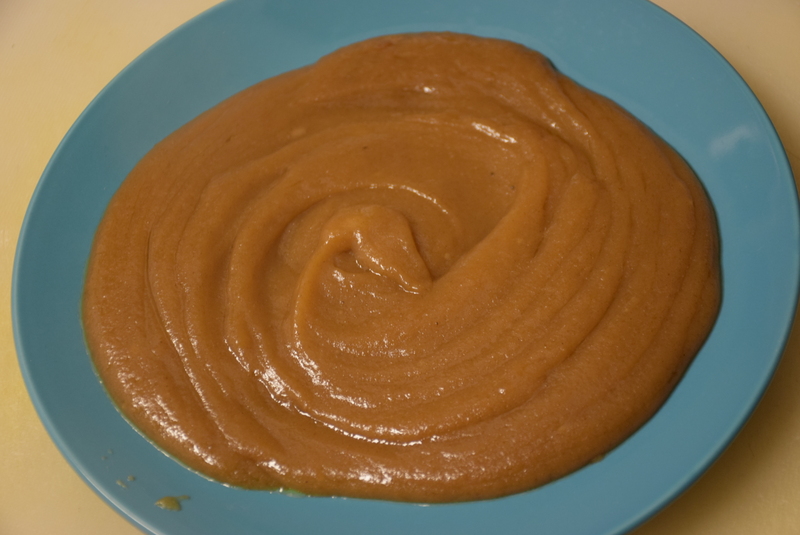 This whole wheat flour pudding (aate ka sheera) helps in soothing the cough in young kids and adults alike, just have it when it is still warm. 1. Add ghee and atta in a non-stick pan or wok(kadhai). Heat it over medium flame till the ghee melts. 2. Stir them constantly to avoid burning. 3. When you see the color of atta has browned and an aroma of roasted atta fills up , then add the ground clove to it. Stir it again. 4. Now add the sugar and lower the heat. Let it dissolve. 5. Lastly start adding water slowly to make a thick paste like solution. 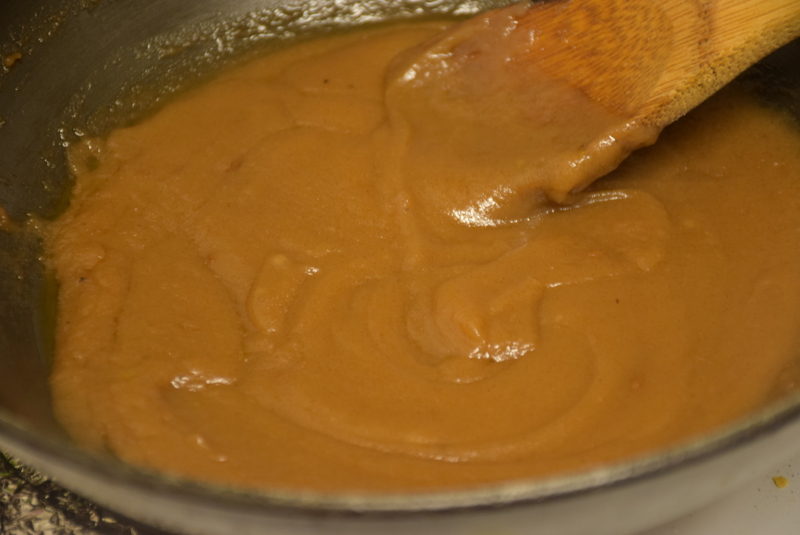 If you see the mixture bubbling while adding water, further lower the heat. I added almost 1 cup water. 6. Let it thicken for a minute(if desired), then turn off the heat.I usually serve it when it is still in a runny consistency, because it anyways solidifies on cooling. 7. 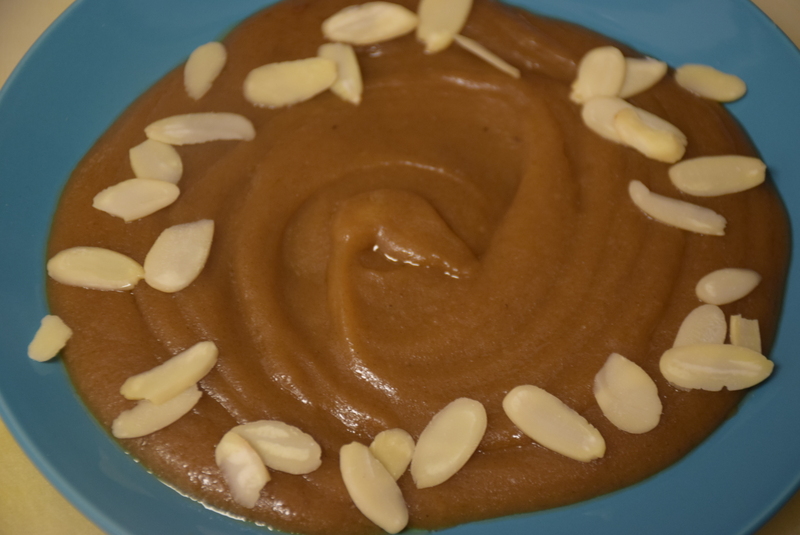 Garnish it with almonds or simply add almond powder to the sheera while cooking. Almonds, Clove help in healing the sore throat and reduces the pain. Enjoy!! Serve warm !! Stay healthy !! Till then happy cooking ! 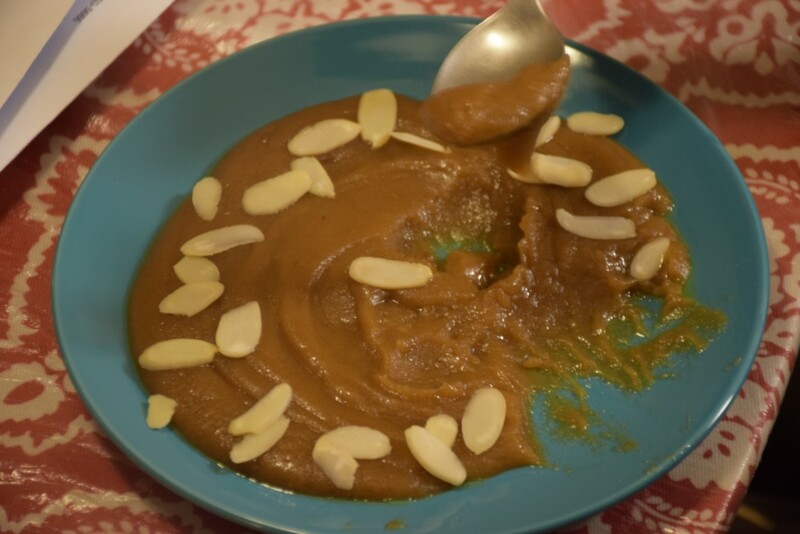 This entry was posted in Desserts, Diwali Delicacies, Food, Recipes and tagged 10 mins recipe, Aate ka sheera, brown, Carenshare, changing weather, cold, consistency, delicious, fall, flour, for cough, for kids, ghee, gooey, halwa, hareera, health related, Indian, kada prasad, runny, sheera, shweta jindal, sweet, texture, whole wheat, yummy, zindagisikhati. Thank you for sharing your recipe of Aate ka sheera. Please can you tell me if milk be used instead of water? Thank you Kanchan for stopping by! 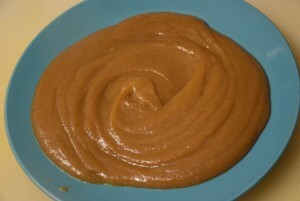 Yes you may use Milk instead of water ,but that might not look this brown, and roast the flour well before adding milk.